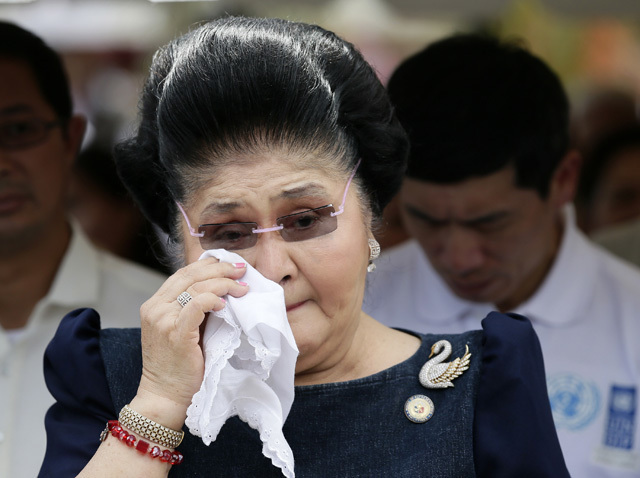 MANILA, Philippines – Lawyers from the Presidential Commission on Good Government (PCGG) and the Office of the Solicitor General (OSG) are asking the anti-graft court Sandiganbayan to declare the estates of former President Ferdinand Marcos, his wife Ilocos Norte Representative Imelda Marcos, spouses Benjamin and Juliet Romualdez, and 17 others in default for failing to answer a complaint 16 to 28 years after Civil Case Number 0035 was filed against them. The 15-page motion filed by the government’s team with the Sandiganbayan last February 15 cited Section 3, Rule 9, of the Rules of Court: that the failure of a defending party to answer allegations in a complaint within the time allowed is enough reason to declare it in default. The original complaint in Civil Case Number 0035 was filed in July 1987. The PCGG, however, amended it at least 3 times: on August 20, 1987; on February 9, 1988; and on October 15, 2001. Defaulting in a civil case bars a party from presenting its evidence, as the court considers the party to have waived its rights to contest the allegations in the complaint. Because of this, the opposing party in this case (the Republic of the Philippines) would hold a notable advantage as it has the opportunity to present its case and submit evidence unopposed. The evidence submitted would become the basis for the court to resolve the dispute. The PCGG said in a summary of pending cases from 2011 that Civil Case Number 0035 involved government claim over shares of stocks in mining, media, and financial firms – valued at P164.405 million – as well as real properties worth P10.34 billion. The state is also seeking damages of P50 billion, and P1 billion in reimbursement of legal expenses. The PCGG and OSG said all 21 defendants were furnished copies of the complaint and summonses by the Sandiganbayan, directing them to file their answers. Goverment lawyers pointed out, “Perusal of the records at hand shows that no Answers were filed by above-named defendants either within the reglementary period or despite the resolution of the issues they raised about the complaint and the period to file an Answer thereafter having long lapsed.”. The heirs of Benjamin and Juliet Romualdez, meanwhile, were granted the right to review the bulk of government evidence in 2007 but waived the opportunity. Their motion to dismiss the case was denied by the graft court in a resolution on August 31, 2014. The Estate of Ferdinand Marcos and the former First Lady were already declared in default in 1989. 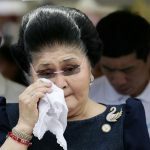 Mrs Marcos, however, got the court to lift the default order against her in 1992, receiving the the same ruling affirmed by the Supreme Court in 1994. The OSG said she she has yet to file an answer to date.